This Tricky English Riddle is for school going Teens. This Riddle will test your knowledge of English language. In this English Riddle, you have to name a 9 letter word which is having only one vowel in it. 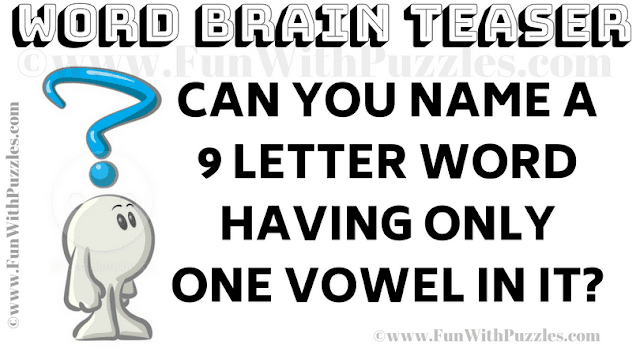 Can you find such English word which contains only one vowel and 8 consonant? Can you solve this Tricky English Riddle? Answer of this "Tricky English Riddle for Teens", can be viewed by clicking on button. Please do give your best try before looking at the answer.